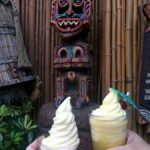 These spoon-fork combos are a hot topic in the tropics of The Tropical Hideaway! 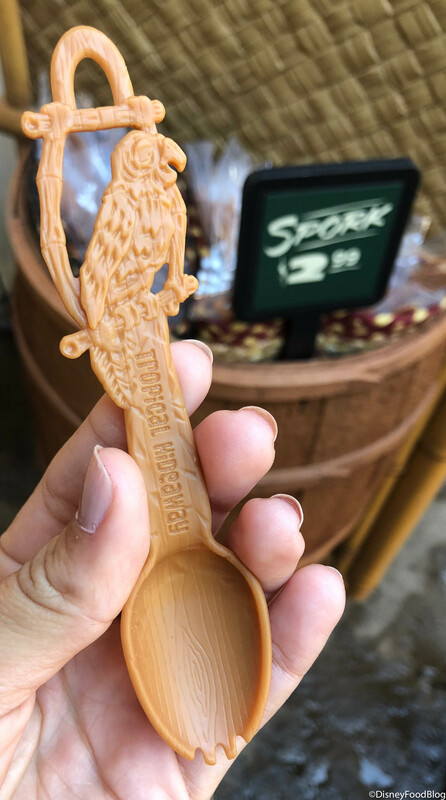 Here, collectible utensils are created especially for eating their must-have Dole Whip treats. This spork features a bird who happens to look a lot like Jose to me, one of our favorite Tiki Birds from the Hideaway’s neighboring attraction, Walt Disney’s Enchanted Tiki Room. 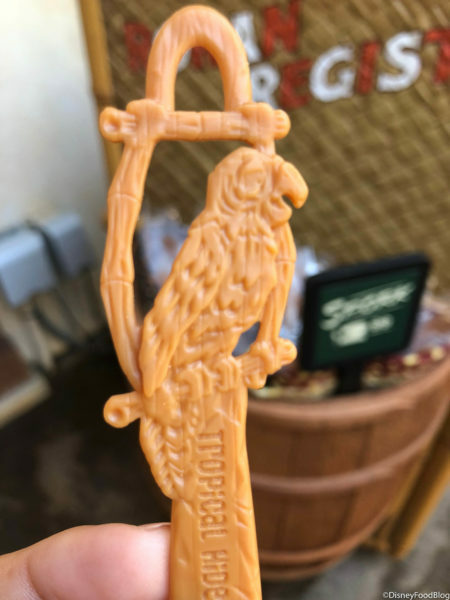 Then again, probably a lot of the Tiki Birds would look similar in faux wood spork form without their distinguishing colors, so you can pick your favorite! Our Tiki Bird pal is sitting on top of his perch with a joyful expression! 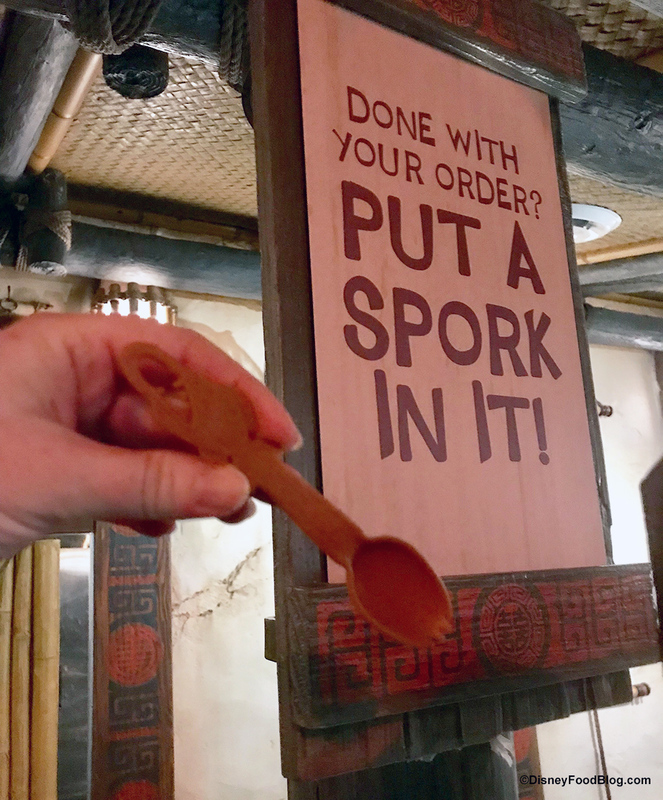 He sure does look happy to be on a spork…and who wouldn’t? And let’s say, this piece has a lot of carving-style detail for being a simple utensil. 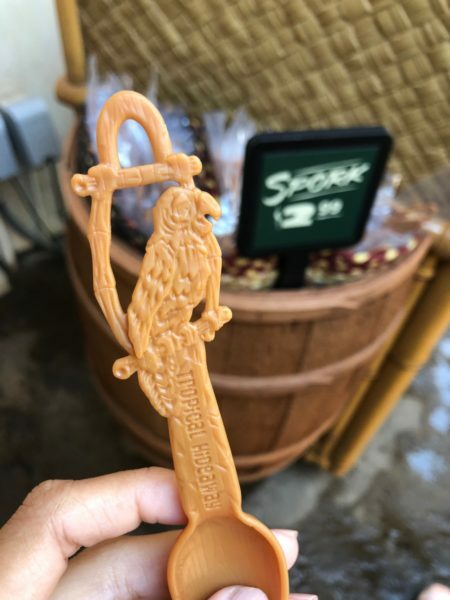 The Tropical Hideaway sporks have become a must-have collectible at Disneyland. They’re only $2.99, so they’re not only affordable, but they’re adorable and practical as well! 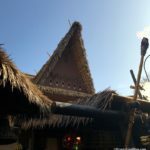 The original spork was a piranha, next was a hippo, then came a Tiki Drummer. 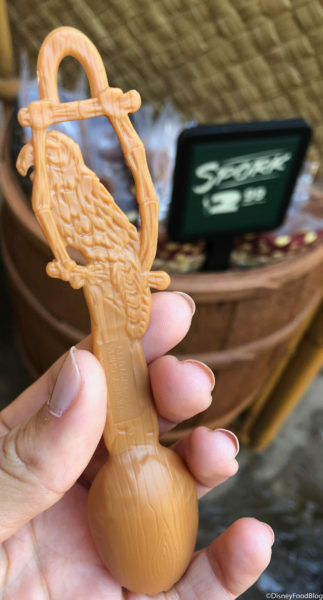 We know we’re a little too excited over a utensil, but we’ve loved this series. 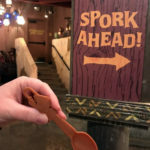 Which spork is your favorite so far? Let us know in the comments below! 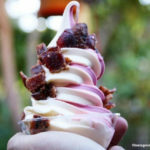 « Hop On Over to Magic Kingdom to Meet Mr. and Mrs. Easter Bunny!